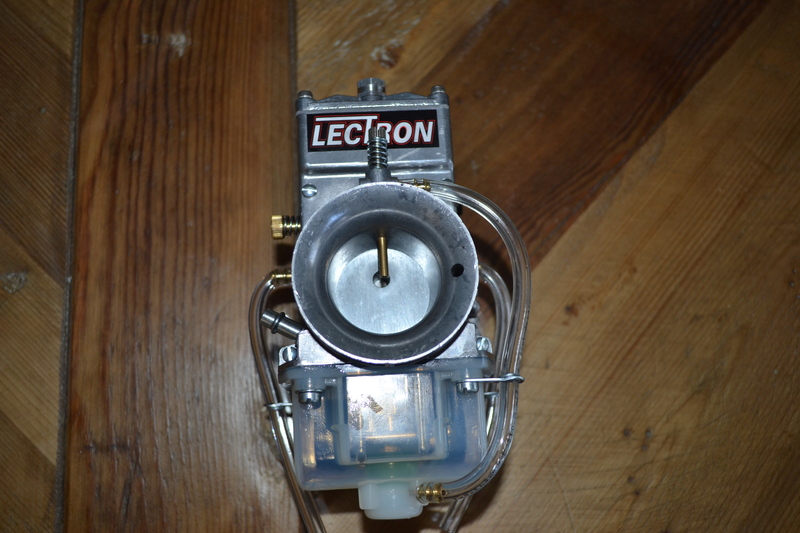 As of 2.13.14 I no longer have the Lectron carb. 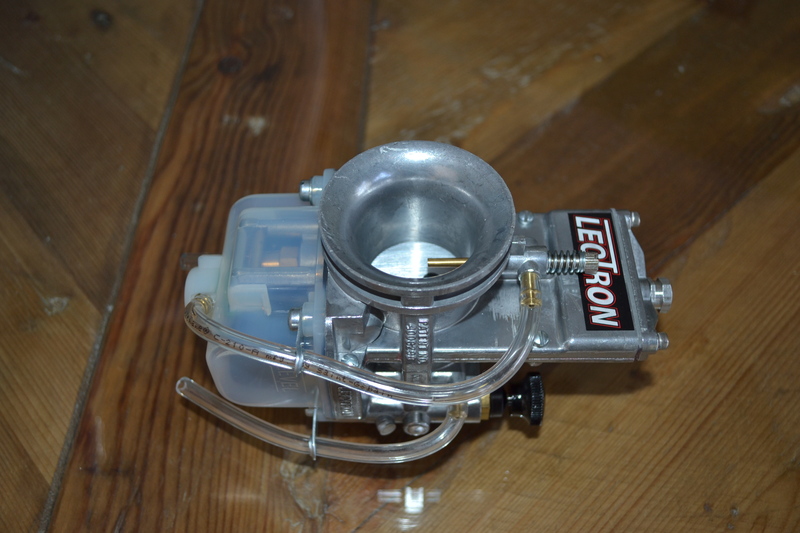 I ordered a 36mm carb from Lectron for the Hybrid. 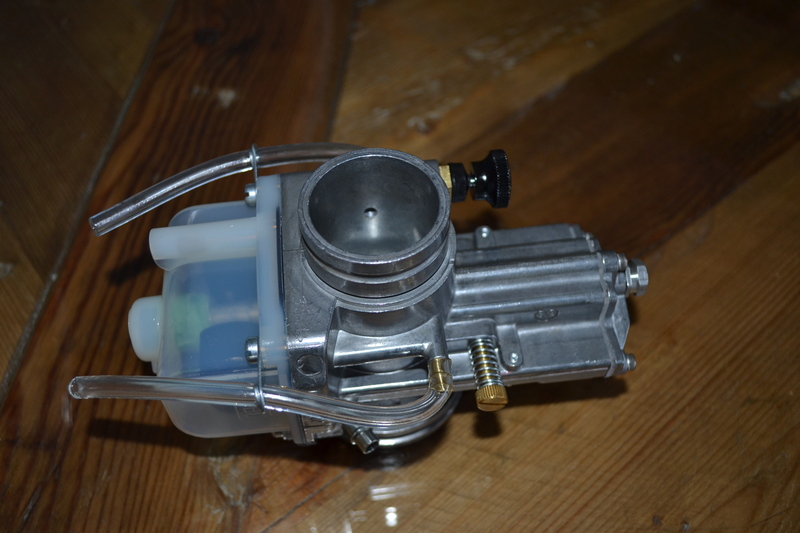 The reed/engine side of the carb is the same OD as the stock KDX carb, so it fits perfectly. 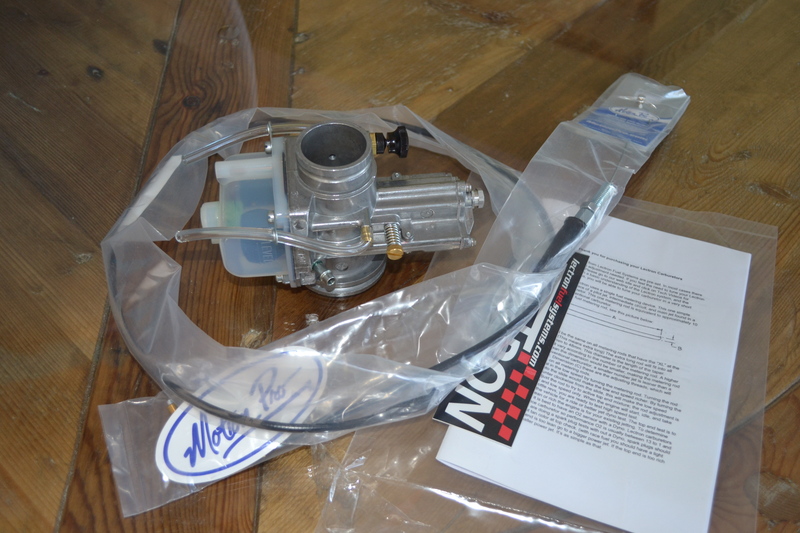 The airbox side of the carb is somewhere along the lines of 1mm larger in OD than the stock carb. The airboot fits with no problem, but requires a little more “persuasion” than the stock set-up. I ordered a new throttle cable, this is everything that came in the box. More info to come on the install.